The invasion is near! 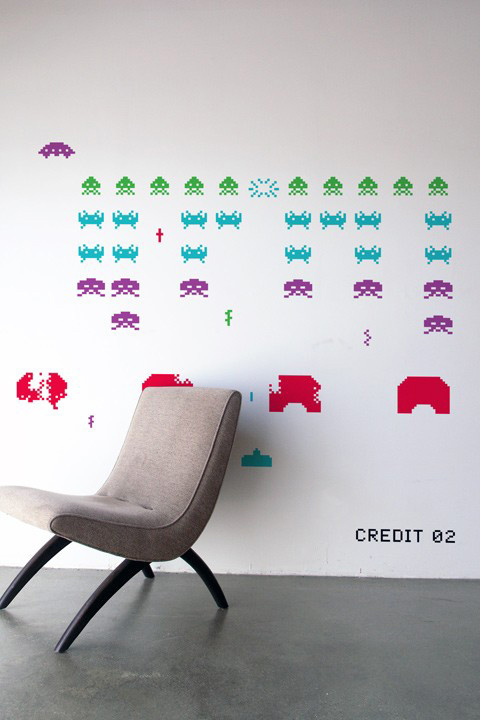 Declare war to these multi-colored giant Space Invaders. 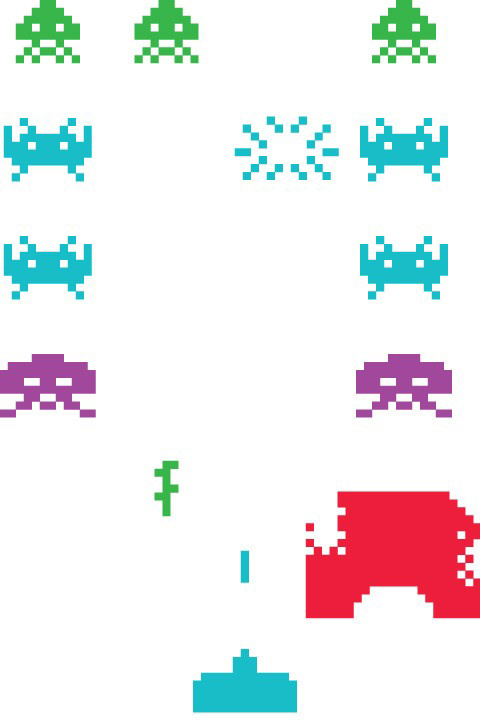 Icons of the 80's and now a cult video game, Space Invaders was first relesaed in gaming arcades in 1978, soon to become a world-wide phenomenon. Some 30 years later, they are back! 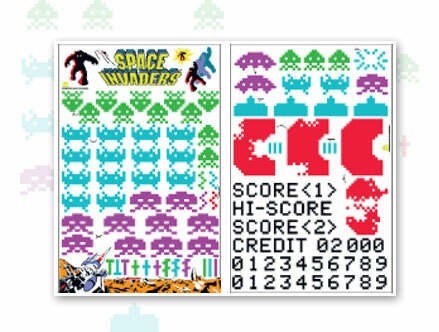 If you are in love with Pixels and 8bit graphics, geeks & retro-gamers rejoice, as you can now create your very own Space Invaders arcade wall including the high scores. A true must-have for every Geek! 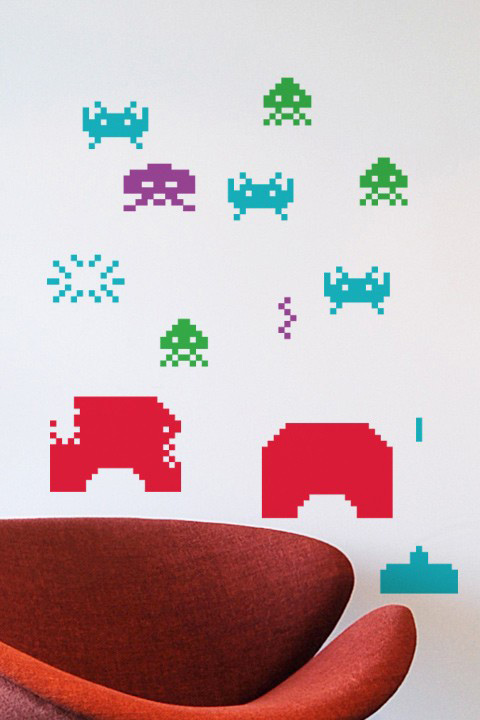 All our Wall Stickers are officially licensed Taito products. Stock: SOLD OUT - Limited Edition. 56.95 Stock: SOLD OUT - Limited Edition. 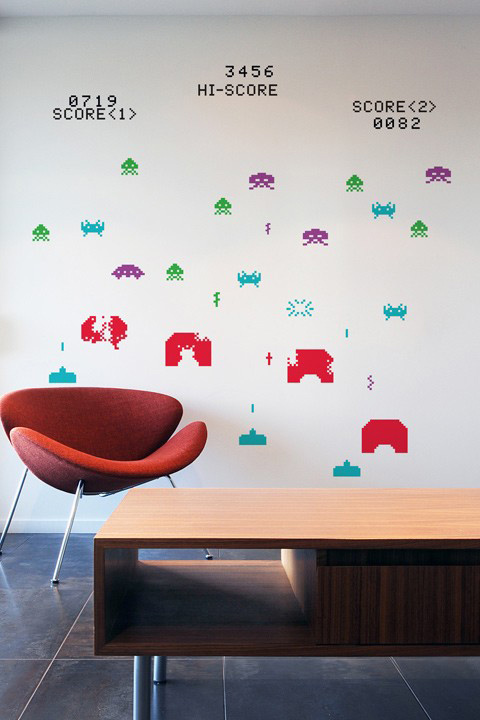 Our Re-Stick Re-Positionnable wall stickers are made of high quality polypropylene film, coated with a special adhesive. 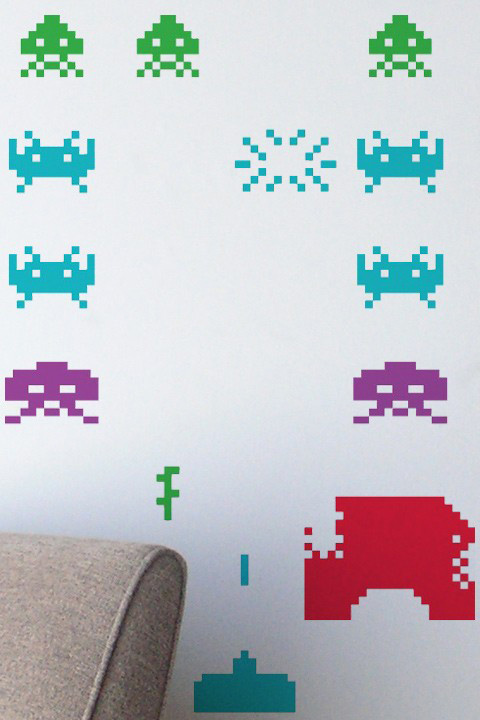 Move them around whenever you wish, they were designed like that!Our Re-Stick wall stickers are also designed to last and you can even take them with you if you move ! * Special Re-Stickable adhesive backing so that you can change the decor around as you wish! * and also 27 game graphics (scores & arcade console graphics) measuring approximately 6,5cm high and of variable width!